يقع فندق Jolly Swagman Backpackers، المصمم ليناسب كل الضيوف سواء كانوا من رجال الأعمال أو السياح، في مكان ممتاز في أحد أكثر المناطق تفضيلاً في Potts Point. يجذب هذا الفندق ذو 3 نجوم، والذي يبعد 2 km فقط عن وسط المدينة و 8.5 km عن المطار، الكثير من الزوار سنوياً. إن سهولة الوصول من الفندق إلى المعالم السياحية الشهيرة الكثيرة في المدينة كمثل ويه سايد شابل, الالامين فونتن, The Family Jewels هو استثنائي بحد ذاته. إن الخدمات التي يقدمها Jolly Swagman Backpackers تضمن للنزلاء إقامة مريحة. يمكن للنزلاء الاستمتاع بالميزات التالية: تسجيل وصول/خروج سريع, تخزين الأمتعة, واي فاي في المناطق العامة, صف السيارات, التوصيل من وإلى المطار أثناء إقامتهم في هذا المكان الرائع. في Jolly Swagman Backpackers غرف نوم يزيد عددها عن 46 صممت بذوق وعناية لتوفر لك كل وسائل الراحة . بعضها يحتوي أضاً على غرف لغير المدخنين, مكتب, مروحة, اتصال لاسلكي بشبكة الإنترنت (تطبق الرسوم), تلفزيون. يقدم الفندق خدمات رائعة كمثل حديقة لمساعدتك على الاسترخاء بعد نهار طويل من النشاط والتجوال في المدينة. استمتع بخدمات لا يعلى عليها وعنوان ذو اعتبار في Jolly Swagman Backpackers . Stayed in double room here for three nights and it was fine!The location is good, in the heart of kings cross and a nice scenic walk,maybe 30min, to the Opera House. Also not too far from bus to Coogee/Bondi. Staff were helpful in regard to making plans and suggesting things to do. Only issue was being given an ultimatum on late check in to hand over our passports as deposit until the morning or find somewhere else to stay. This was even after we offered proof that our room was already paid in full and offered a copy of both passports. We also gave a cash deposit. The passports were not stored in a safety deposit box. When I spoke to the man in charge in the morning he was extremely dismissive saying he "didn't see the problem as we have them back now" and couldn't understand the issue unless we "had something to hide". He eventually agreed to "take it onboard" after going around in circles for a while. A review of late check in procedure is badly needed here as otherwise it was fine. Loved the staff at the Jolly Swagman! Super nice to stay at a smaller hostel - get to know people better! Love the group activities offered!! Super kind and helpful and friendly! Nice having the fridges, cubbies, and lockers in the dorms. Love that each bunk has a light fixture. Limited outlets per room, but has full length mirrors and lots of natural light! 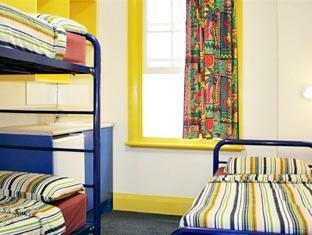 I could enjoy my trip in sydney as the hostel is located in Kings cross which is close to Sydney CBD. I visited most tourist attractions like Opera House by walking. I think the location of the hostel is great. In addition, there are a lot of nice cafes and restraunts near the hostel. But the problem was the hostel's cleaness. If you are planning to stay in this hostel less than a week, I will recommend this place. However, I never recommend this place for more than a week. The hotel is not far from Kings Cross station. 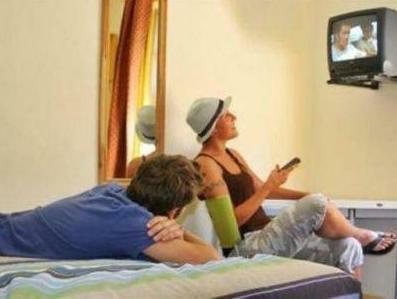 It's a backpacker's hostel. Do remember to bring your own necessary toiletries as the room is really very basic. 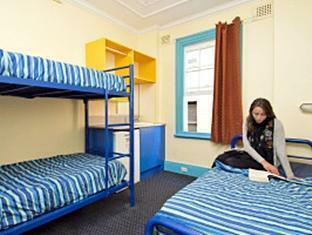 It was clean, room was comfortable and it was close to public transport links. To be honest, we were hardly in the hostel but the time we were, we had a comfortable stay. It was clean in all areas, but one thing which let it down was the check out time of 9am which didn't really help. I enjoyed staying here, as both the staff and the other travelers were considerate, kind, and helpful folks. It's always nice when a place includes a free breakfast, even if it's just cornflakes & toast! 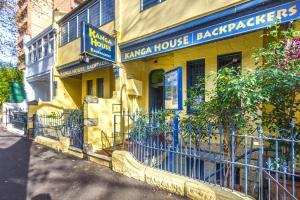 I spent 5 days in this backpacker hostel however I 'd not recommend you to stay there if you require a clean and comfortable environment. I booked a 3 beds female dorm but I was assigned to live with 2 other boys. The room was messy and unclean. Staff are nice. People there were all teenagers so they make noise at night. It was really cheap and the location is great if you want to live in King Cross. Anyway, the people there are fine only the rooms are too messy and tidy. overall was ok. good location near station, easy access to food anytime. only setback was the hotel guests we encountered were making too much noise even in the middle of the night! The Jolly swaggman place was very good located but we expected to have a double room with shower and the shower was located in the corridor and they were uncleaned and not fresh. The room was otherwise ok but with no aircondition, The room was silent. First sight was a cackroach (don´t know the spelling)in the room. The breakfast was better then expected but as all other common places shared with others the kitchen was dirty and plates and cups also. the personnel was very nice and helpful. the location is kinda convenient as it closed to the tram station. the room is pretty big with 4 beds only. (maybe because i had tried the 6 beds dorm room and 3 beds dorm room and they all are small.) the toliet/shower room are shard, but clean. and i enjoy the shower lol and the good thing is that it includes breakfast. although the breakfast is simple..... anyway, the room rate is acceptable for this. thank you. The room is old and dirty, no towels provided, no elevator. Location is not good either. Upper bunk has no railguard.